During yesterday's trading session, we really saw a corrective decline in the US dollar against many currency pairs. In general, the correction stopped where we expected, but the initiative that was implemented yesterday at the time of this correction turned out to be greater than we expected to see. As a result, the maximum volume gained in the adjacent futures on the European currency was lower than the current price. This reduces the likelihood of working out our yesterday's trading idea, but does not completely contradict with it. Only the appearance of the price above the mark - 1.1370 will speak about a change in the trend, until this point the downward movement is considered as main and upward correctional. 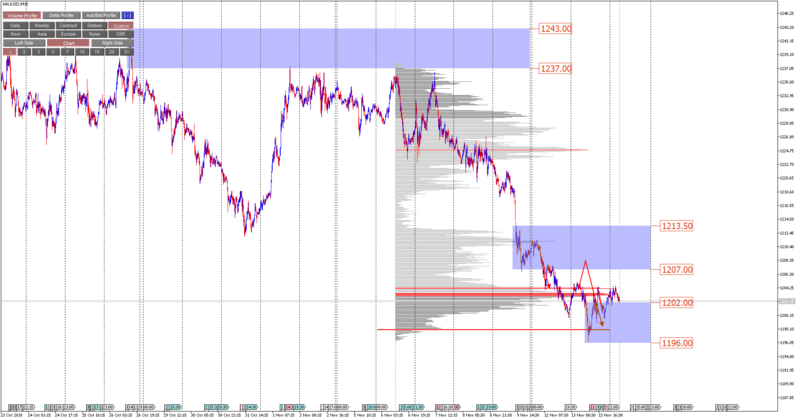 However, the proposed reduction target should be adjusted to set it at the level of 1.1275. It was in the price range of 1.1275-1.1245 that initiative took place, which lowered our chances of success. The probability of updating the minimum is still present, and this would be good news, since in this case the trend structure on the pair would be preserved. 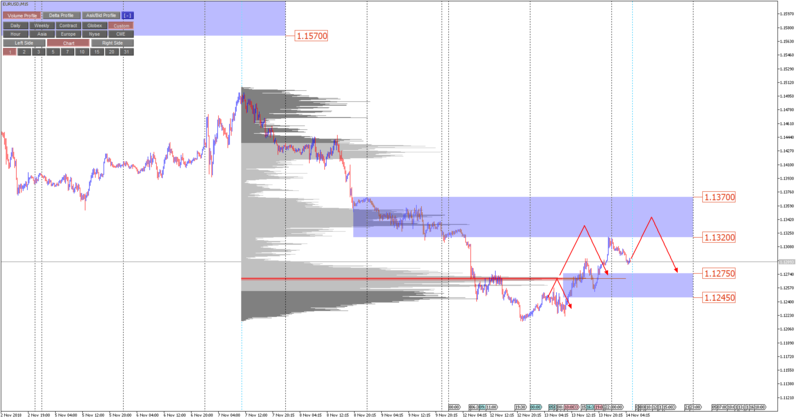 The situation in general is similar to the EURUSD pair, especially in the part where the activity of buyers during yesterday's trading session turned out to be more than we expected. On the CME futures exchange we observed buying interest near the local lows, which can be both closing deals from previous short positions, and opening deals for new long positions. In other words, yesterday, someone either closed their sales or opened purchases. This is not in favour of continuing the decline structure, and we begin to consider the instrument to be traded in flat with an upper limit of 1207–1213.50 and a lower limit of 1202-1196. The indicated range is very narrow, and it will be uncomfortable to trade in it, but if you make decisions, it is mainly for sale from the resistance, since the trend of the older timeframe is still on the depreciation. In the case of a breakdown of 1213.50, we understand that the downward trend has ceased at least for a long time; the breakdown of 1196 returns us to the trend-based downward structure, within which we can work for sale.